Francois immigrated from Alsace-Loraine to the United States sometime in the 1850s. His biography was prepared based upon census records, newspaper articles and a few family reminiscences. Initially this biography, based simply upon memories, was a single page long and thus proved to be a great disappointment to say the least - surely more could be learned with a modicum of effort! After researching his WWI service - which proved to be an education in itself - many other details fell into place. As with the other histories on this website - all veterans - I am indebted to family members for their contributions - the errors are all mine and will be corrected when brought to my attention. 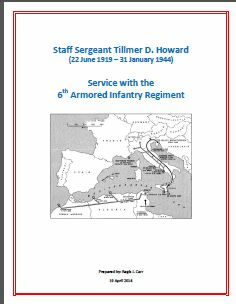 While Tillmer Howard was enduring basic training, his eventual unit, the 6th Armored Infantry Regiment, conducted training maneuvers with British units in Northern Ireland. Then in September 1942, two battalions left Ireland for England and additional training with British units. In October the two battalions again boarded ships as part of Operation Torch - combat operations in North Africa. 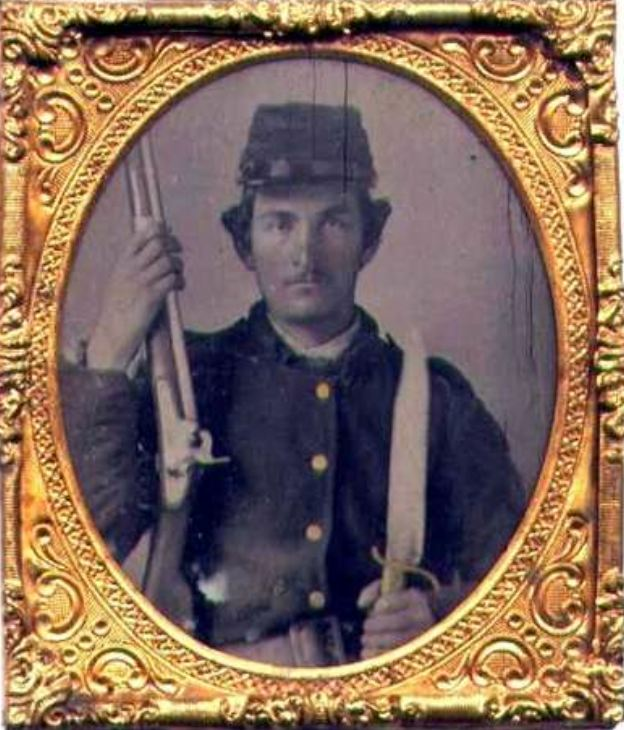 When Nicholas Thompkins Leverett was first added to the family tree I knew only that NT was the great-great-grandfather of my bride, Lana (Scott) Carr and that he was a Confederate veteran. Initially, I was satisfied with that limited knowledge and did not pursue more detail. After writing and posting a story to CarrFamilyTree.com about Lana's father, MSG John Edgar Scott, I sought more information about NT. In December 1941, James Elvie Pate was a 32-year-old, single ranch hand on the Tommy Brook Ranch in west Texas and a base violin player in a local band. 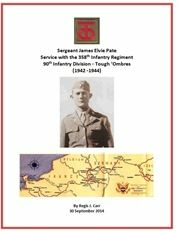 By April 1942 he had joined the U.S. Army and was assigned to the 90th Infantry Division – the Tough ‘Ombres. Two years later he was a married sergeant aboard a ship passing by the Statue of Liberty - bound for England and eventual participation in the landings on Utah Beach. Four days following that landing and within several miles of the beach he was wounded and sent back to England for treatment. Upon return to France he fought in the operation known as the Falaise Pocket. Just days before that battle was won, Sergeant Pate paid the ultimate sacrifice. Years later his only sister fought to have her Tough ‘Ombre returned home to Texas. The story of Sergeant Pate's service reflects the great care his niece took to collect and retain artifacts of his service and her graciousness in sharing them with the author. 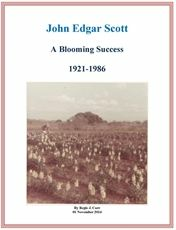 The booklet is available @ www.TheBookPatch.com and searching for "Sergeant James Elvie Pate"
In 1959 Edgar purchased a 20-acre farm in south Texas thru the Texas Veteran's Land Board. The ensuing 25 years is a marvelous story of success - the American way. The story of his farm in Lytle, TX is captured in this document. Clara's cremated remains were discovered in 2008 by the occupant of a home in Orem, Utah. That find enabled Clara to be returned to her family - even if the details of how she got lost in the first place remain but a guess. The story at the link is the result of collaboration by two researchers on opposite sides of her marriage.